I’ve wanted to present a book for a while, because I agree with these who’ve suggested in the past it’s an excellent way of presenting a set in a controlled and curated way – but have always held off for a couple of reasons; firstly, the work I want to present wasn’t finished enough to form a complete idea; secondly, there are challenges associated with economics, distribution, quality, etc. I thought I found a good enough solution…until the proofs arrived, and all of those things crashed back down to earth. So instead I’m going to offer you an apology. It has been a very personal project because it is visual translation of philosophical and existential questions about human behaviour and expected conventions I’ve been forced to consider during my personal transition from corporate to creative. There are certain societal expectations and norms that inevitably an individual is forced to challenge if you want to do something different. I’ve not exactly had a conventional upbringing or career, so perhaps the questions I’ve been asking are a little different. The images presented were chosen deliberately because of possible ambiguity of interpretation: depending on your point of view, you may take away something entirely different from what I envisioned; I provide captions because I believe these are an integral part of understanding the often complex questions posed. None of the scenes are posed; every image is candid with ambiguous figures encountered during the course of real life simply because there’s no way to engineer an idea that multilayered without it being restricted to the limits of the creator’s imagination and experiences. They are not street photography or documentary in the conventional sense because the story presented is not about an individual or a specific moment in time; rather they are ideas relating to humans in general as opposed to a specific human. I’ve chosen to use Blurb for this first publication for a few reasons: granted, quality is not as good as a gravure edition with four colour rolls, but the setup printing costs wouldn’t be hundreds of thousands, either. It is the best balance of price and edition size I’ve been able to find. In order to make the book as accessible as possible, direct shipping to you saves on distribution costs, and I’ve kept my own margins to almost nothing. Hopefully the circulation will be wide enough to justify future editions. Scratch that: it doesn’t apply, because there’s no book to launch – certainly not one that is remotely close to being of an acceptable standard. Instead, I’m left trying to figure out how to salvage the curation and layout work instead. Ideally, a photo book should be multicolour gravure: but that’s a hideously expensive way of printing, and needs very large runs to even break even. (Nick Brandt’s African trilogy was done with gravure and is my benchmark for photo books). Unfortunately, this is seriously out of reach for all but the largest publishing houses and individuals with numbered Swiss bank accounts and private jets. So the rest of us turn to digital services such as Blurb and the rest. Here comes the disappointing bit: after narrowing down the choices to – basically only Blurb, given that I wanted to sell and distribute the books but not hold physical stock and cut down the end shipping cost to the consumer – I went ahead and laid up the book in their software. Could be better, but all in all relatively painless. Ordered a proof copy of each cover type. Waited. Got hit by customs to the tune of about 50% of the invoice value of the books (ouch). And then was seriously disappointed by the quality. The problem is not that the quality is outright bad; I’d rank it perhaps a 5/10 as far as photo books go, roughly on par with the Vivian Meier books – but that it’s expensive to get to even this point. I’d have to sell the 60pg book for about US100 to make $10 on each book. That’s crazy. I think the market accepts the limitations of self-publishing and print on demand to some extent, but this is too much. Even if you commit to say a minimum of 100 copies, the discounts don’t really increase by much. Certainly not enough to get it down to the sort of $50-60 price point that might give it some hope of being popular. Looking at some of the other options, quality is better, but price is even higher and I’d have to hold stock – which means shipping to me, then shipping out again. And to make $20 I’d be charging $200 a book, which is even crazier. At that point I’d rather be selling single prints, because there are none of the compromises associated with poor printing*. *Low resolution, limited gamut, poor dmax, few paper choices, odd contrast and tonal response etc. « OpEd: resolution, output, collector or photographer? Wow! Look at all these comments. Makes me a little sad that this hasn’t gotten off the ground. I suspect the missing link here is a publisher like Steidl, Rizzoli, Aperture, D.A.P., or whoever, deciding they want to publish you. Maybe there is a halfway solution in which the publisher works out the book with you, but before publishing, your readers subscribe to buy a 1st edition copy. You and the publisher agree how many subscribers are required for the print to get the green light. That way the publisher knows their end is covered, and you are covered too. Borrowing from the crowd-funding approach. (Indeed there are publishers like Unbound.co.uk who work on this exact model for all their work). I know the book will never get close to the quality of your Ultraprints. 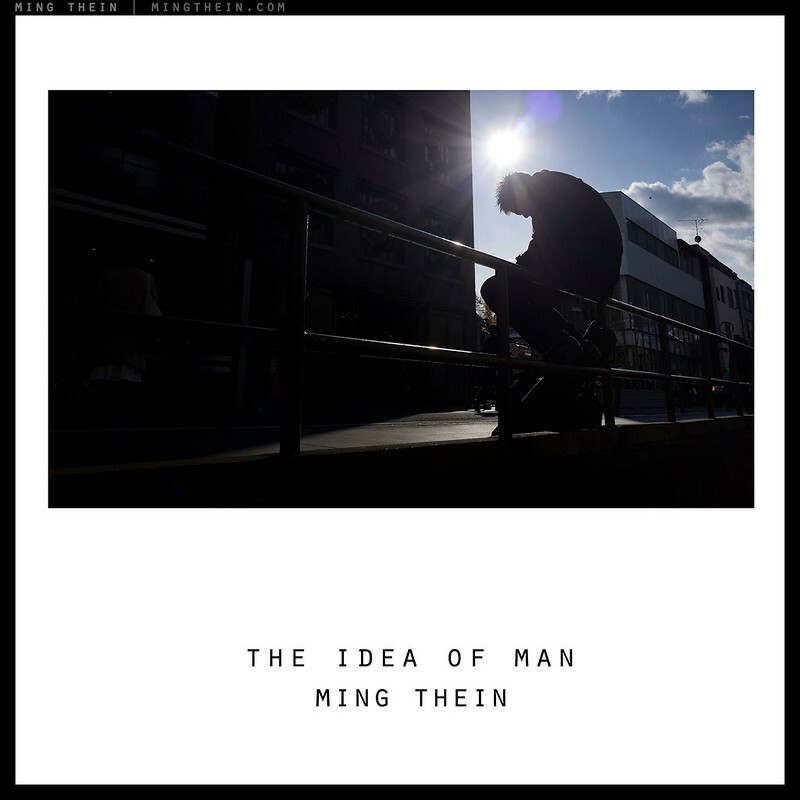 But a well curated book on a theme – like your ‘Idea of Man’, allows the reader/viewer to build the narrative in a way that a single Ultraprint cannot do. So… I still hope this can all happen some day, and in a way that rewards you (financially + career). I’ve been exploring several options behind the scenes. The best quality/price tradeoff would require 250 subscribers at $230 for me to break even – but this would be an extremely high quality hardcover, boxed 40x40cm book with individual numbering and signing. However, judging from the response to the Connection book – I honestly don’t think this is feasible. I’ve self-published three books of B&W photos through Blurb in recent years. I’ve noticed a real improvement in quality. No more color casts, availability of better quality paper, etc. But problems persist. I still find the Booksmart program slow and buggy. And as you’ve found out, the quality, even now, is just OK. And this is supposed to be the best of the lot! I don’t think there is a better alternative unless you’re prepared to shell out much more money upfront. One further point. With my last book I was given the option to publish in e-pub format as well, which I did. The quality of that is MUCH better (though it doesn’t include the cover), and it costs potential readers far less. Only problem is that, AFAIK, it is only readable on Macs. I didn’t think they were any better than the earlier personal/family stuff I did, to be honest. Ming, would it be worth asking Richard Benson for some ideas? He is an American photographer, printer and academic. He wrote ‘The Printed Picture’. In my experience, US academics are generally helpful and responsive. Also, in my opinion, you’re hardly a random guy. The worst that can happen is he’ll say he can’t help, in which case you’re no worse off than now. Good luck Ming, I’m sure you’ll get there. Thanks Nigel. I’ll look him up. Wouldn’t overestimate my own importance though! Hello Ming, perhaps a bit late with my comment. 🙂 please disregard the pain and disappointments of your experience with this project. Concentrate on your resources. You travel a lot, teach, work commercially and trough your web site reach creative and passionet people, who understand your need to produce a certain quality. If nothing else, you have an incredibly valuable calling card in the form of your Ultraprint project. Looking back to my own journey in self -publishing, it was a nightmare, yet very successful and satisfying in the end. The nightmarish part was the “indifference” of the printing trade professionals to whom my project was only a Job. The pre press people who turned my color slide scan into with some arbitrary profile a hellish nightmare colours so far off from the original that I simply stormed out in tears. They did not take me seriously untill we sat down on” their” work station and I made them to show me everything in 100% view. With margins off, supplied font substituted, the colours so far off on the prepress ” colour proof” that they could not blame me for the “wrong” original supplied, etc. I simply told them that they are not going to see the prepress invoice payed at all. I took the project to a different printer. It was eventually done out of town, where all the elements had come together because I did everything myself, and by then knew how to talk to the individual techs, and the rep understood my intentions, helped me to access the right technology… Well, she actually did her job! And did it well. I guess she liked my passion of seeing it trough. It was worth it, I learned a lot, despite of limited resources, I was able to navigate the slippery road of a creative project into a commercial “thing”. And that was the most difficult part. Separating myself from my project and make this commercial product. And sell the thing! Do not give up on this! Would I do it again, continue with the selfpublishing?, as the original concept was planed. In a heartbeat! Though, a relaxing around the world tour would have a very high value argument about it! Hello Ming, great to read all the positive feedbacks you received on the recent posts. I mentioned travel as a resource, since it is valuable asset to meet up with and see through such a project in person, should you run out of local options. I did, both major local press shops failed to offer me the solutions. I was fortunate to only having to drive down the highway to another major city. As to the world tour, to continue with my project, I faced extensive travel schedule to the US. But life steered me in a different direction. Though I got to corespond with Mr. Chris Burkett, who I got to be introduced to via Hasselblad. 🙂 Mr. Burkett introduced me to his printing rep. All was well until I was unable to travel. So, now it seems more tempting to travel for leisure, than business. All the best. I hope you will be able to realize your project trough one of the contacts posted in replies. Sorry to hear about your bad experiences with printers. I work in the industry (not in pre-press anymore) and I can understand how these situations arise, but I feel a bit sorry for the poor misunderstood pre-press operators. The vast majority of a pre-press work consists of “take this supplied file, impose it and output to inkjet/plate”. Usually graphic designers supply pretty good files so it’s relatively rare that a pre-press operator would deal with a client directly. Anyway, it sounds like you found a good working relationship on your second attempt. As for it being “just a job” – lets not get too pleased with ourselves about being ‘involved in the creative process’ – maybe you generated the content, but you didn’t have a book until a team of skilled tradespeople created it for you. If there’s a quality product at the end then they probably cared more than you give them credit for, but about different things to you. Hello Chris, in my case, I had to deal with the pre-press operator because the rep presented me with a messed up concept proof even though they were provided with proper files. All I needed from them is a half size concept proof and a color proof to sign off on to go to the next step. They ended up discarding my layout, PS fonts, and applied a rendom profile that distorted the colour of the original as if seen through a deep red IR. filter. I do not know what they tried to pull, but it was on my dime and I would not have anything to do with it! I mentioned the economic scale, because Ming’s experience. On my first attempt, I was putting money on everybtody’s table. At 0 benefit to me. After the disappointment, I considered it as part of my “dues” I had to pay. And it turned out much more revarding the second time. I learned to value highly trained press and pre press operators, but a common goal and respectful personal relationship is essential. There’s an aspect to the industry that has unfortunately led to many problem areas. Too many skilled pre-press people have been replaced by temp workers (Aquent, Adecco, Creative Partners, et al), and it’s a bit of luck to get a temp worker who properly handles file conversions, and who has time to get the bext files for output. I worked in pre-press prior to becoming a photographer. I now teach some photographers how to do their own cmyk conversions, because too many temp workers have f’d up their files. This is also the reason I have designed and done pre-press on several book projects, though quite often the money is just not there. I understand the point of many of the press operators, because jobs are not exactly pouring in like they were a decade ago, but poor quality hurts their future project potential too. Definitely there are some very good printing companies out there, though it is a negative trend that there are fewer quality printing places each year. The corporate push for cheaper and faster has left quality behind in many cases. Poor planning and inflexible deadlines mean shoddy production is more likely. When things work right, the potential is quite amazing. The problem is that is not always the end result. There is quite a bit of specialized skill involved in quality printing, but fewer practitioners. Just print it!!! You are insanely tough on IQ…the most imortant are the images themselves, meaning what is on the pictures! They print like the D810 images do, but contrast must be lowered a bit otherwise the overall feel is of artificial punchiness. looks like there has been a lot of activity on this post. Not sure if you’re still monitoring it, but I have a friend, Paul Kohl, who is a fine art photographer and professor at NUS University Singapore. He’s spent a lifetime perfecting his own printing and is a real stickler for quality. He is using Datz Press to print his books. They are the publishers for a small Korean Museum of Art. They are made up of photographers, artists and book makers, so they have a slightly different approach to most places. Paul is not only happy with the quality of the product, but also the the cooperation and support he received getting the quality right in the first place. Maybe because they are photographers themselves they understand that perfectionist streak. So, I thought it might suit your needs too. They hand make each book when the order comes in. I bought Surface Damage and love the quality – it’s matt cover feels like velvet and the prints look great. That sounds great. I’ll check them out…and I know this might be asking too much, but any chance you could introduce me to Paul so I could ask him about his book printing experiences? Anyway, I’ll mail you soon as I get a response. Have you considered the LensWork Extended model? ( http://www.lenswork.com ) I have switched from a getting print editions in the mail to a LensWork Extended PDF subscription, which has many more content options, including audio (interviews, etc.). The small format printed volumes are gorgeous, but looking at photographs on a good, large monitor is great, too. Bottom line: create your book as PDF and make it available for download, for a fee. The LensWork website Creative Labs and podcasts offer many insights into the hows and whys of PDF publishing. I’ll take a look into it. To be honest, there’s always this bit of uncertainty about ebooks vis-a-vis paper that bothers me; the experience is simply not the same – and far too monitor-dependent. If you are concerned about print quality, I would be even more worried about an electronic presentation. As you say, you’d lose all control over the output medium. Being one of those who have encouraged you to produce a book, I really hope this goes through, one way or another. I think your reaction to the disappointing (first) results shows that you are genuinely excited and putting your heart into the project. That’s a good sign for both the product and the likelyhood of seeing it published – even if it takes time and several attempts. As for the eBook idea, I would look back at your own teachings: shoot with the end product in mind / display medium matters / etc. From your own comments I get the impression that the message and feel of these photos is relatively sensitive to how they are presented. If that is the case, I doubt you would have made the same choices (theme, style, etc.) if the plan was to display them with somewhat random contrast and colours. Nothing wrong with eBooks, but I have a hunch that you won’t enjoy the outcome unless you have worked to make the best use of the target medium. It will also affect viewers and especially those hesitating to purchase if you broadcast that computer screen is not really how the book was supposed to be viewed. Good luck with the quest and take a moment some day to consider the ebook format as well! It’s definitely sensitive. And there’s simply no way to make an image that looks good on all unknown displays without being heavily limited in gamut and tonality (goodbye, nuance!). It’d be no better than a bunch of web jpegs on flickr. Our impression of blue skies, for instance, is very sensitive to the density and hue; it provides us with more subtle visual information than just ‘sunny day’ – time of day, latitude, atmosphere etc. also play into it. Sadly, I still can’t figure out any way of controlling this accurately without having some knowledge of the target display device. Medium-contrast b&w comes to mind, but maybe your style is defined by perfected tones. It is a pity that things are as you described, but they are this way. Your latest type of work is very ambitious in terms of printing quality. So perhaps the best choice would be to continue with your ultraprints, until you have a sort of patronage to make a first class book. Best wishes. I’d say find gallery representation and start w/ small premium editions to parallel exhibition work, but it sounds like you found the contemporary art route lacking in opportunity (to say the least). If the focus of book-making is to make even a negligible profit, you might be out of luck…if for art’s sake, on the other hand, bearing the loss yourself could be a solution if you can find another economic activity to offset its production. Do you have a collector base you can tap for support? I like your blog and frequently visit, but as a starving artist not really in a position to provide financial support. Hi Ming. I wonder if you’ve seriously investigated offset printing. Obviously it’s no good for a ‘print-on-demand’ arrangement, but the quality will be better than digital and it’s not really that expensive. I work for a printing company (we do offset and digital) so I ran some quick numbers on 100 A4 CMYK section-sewn, perfect-bound books, printed offset (I’m not sure of you’re specs – just getting a ballpark figure). Pricing comes in way below what you’re talking about from Blurb etc. I’d be surprised if you can’t get an offset printed price from a reputable printer somewhere in SE Asia for well below the $50 unit price you mention in your post. They should be able to handle storage and logistics as well if need be, for a fee. I have – at least locally; they won’t do single proof copies until you commit to a large run, which goes around in circles. You’d ideal want hardcover which drives up the price again, as does better paper quality/ heavier weight. On the other hand, since you already work for a printing company, is production of a hardcover photo book something you would be interested in taking up? We certainly can and do produce hardcover books, it’d be in the region of $15-20 or so per book for that style of binding. You would absolutely run into the same problems with us as with other printers when it comes to proofing. We usually proof by inkjet and then match colour to that on the press. We’ve done work this way for photographers before with good results (they are happy anyway), although you may be more demanding than others. The difficulty with providing a one-off proof is that it takes about the same amount of time and resources to print 1 copy as it does to print 100. At our standard sheet size, 60pp A4 gives you 7 x 8pp sets and 1 x 4pp set on 60 plates. Regardless of whether we make 1 or 100 copies, the press operators have to set up the machine and match colour 15 times. After trimming, collating, section-sewing, binding and postage you’d be looking at a something like a $1000+ proof. This situation perfectly demonstrates the benefit of digital, although, as you’ve found, the quality isn’t quite there yet at a self-publisher-friendly price. There are a couple of good ways around it that I’ve seen our clients use. 1) Really good market research so they are comfortable with the up-front investment, or 2) taking pre-orders before commiting to print. I’ve seen really good results from the pre-order route with a solid marketing effort. For example, we’re producing a 4 volume set right now that will retail for $500 (seriously niche product), and I hear the author has already sold a solid amount before we’ve bound a single book. I have seen people self-publish ‘for the joy of it’ without any idea whether there is a market – if the product is good then it usually works out, but it’s seriously stressful for them. Kickstarter, etc? Similar to a pre-purchase commitment, you can have the great unwashed contribute but possibly not in keeping with your brand. I’d be concerned about them having a bad first experience. Thanks for the info, Chris. 1) goes without saying. 2) is a bit of a chicken and egg: you don’t want to be taking orders for a product whose qualities you can’t be fairly certain of, and you can’t sell something which isn’t that good. Have you looked at the Phase One ebooks? 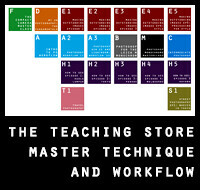 (http://www.phaseone.com/en/Downloads/Materials/Download-Phase-One-iBook.aspx) If that kind of quality is sufficient to you for the medium I think you could charge enough to make it worthwhile for you. While the quality wouldn’t be up to your print standards it does simplify the cost and distribution issues. It appears to be just a normal ebook, or am I missing something? Fine art book , needs fine art -exceptional quality –publisher. Your images have such quality(ones I have viewed on you web site). A quality publisher is a partner in a publishing project like this, and shares your vision. They can bring something to the project of real artistic , technology and commercial value. Talk to art publishers who have published books you find artistically acceptable. Barring that, start your own photo publishing company then with others who share your goals. Ebooks, DIY books, printing services(masking as publishers) just make ‘noise’ and take your money and deliver sub-standard books. I don’t have the money to start a printing company. Since they have not yet been mentioned, another possibility: Whitewall. I cannot comment on their service as I have no direct experience. Being a graphic designer and having used blurb in the past time as well, I was quite happy with the result. It depends on the paper you chose and also how you prepare your files. Blurb is using HP indigos with 4 colors. Indigos are also used with 6 or 7 colors (cmyk plus orange and green). The prints from Indigos are on par ore better than offset printing. I also did the design and production of a book from an american photographer. His photos were all black and white printed on FB paper. He was quite critical qualitiy wise. The book was finally printed in Switzerland by a printer who is used to do art books. It was printed in 2 colors plus varnish with a technique called FM printing (frequency modulated). While most of the printers are using a dot size of 20 micron, he does 10 micron. The result looked fantastic. Another printer I know, is specialized in 6 color offset printing. The results are great. Most of the art books sold in book shops are printed in Hong Kong. You should find a decent printer there, that can also handle stockage and shipment. As you remarked in some of the replies, it depends highly on the quantity you print. One thing to remember, at least for all the book projects I’ve done, there was never big money to win. So, good luck! A book can never be replaced by an e-book, if you like the touch and feel of paper and the smell of printing ink. Thanks for the suggestions, Patrick. I’ll have to make some detours next time I’m in Hong Kong. I’m currently working on several projects myself which will probably go via Blurb. The approach I’ve taken is to order a few Blurb books by self-publishing photographers who know what they’re doing – Linde Waidhofer for example – to see what is attainable. Personally, taking all pros and cons into account, along with my own objectives, my opinion is that with careful input preparation, Blurb is acceptable. And more than acceptable to most of the audience I’d be adressing (which includes other, very competent photographers). It seems that you’re less concerned about getting your work out there than attaining perfection, but I think it is pretty unusual to attain perfection at the first attempt. However, the biggest con to me for Blurb is pricing. That pretty much kills it as a volume channel. You might want to visit the website of Bruce Percy. Bruce has self- published two highly acclaimed, beautifully produced books, using custom offset printing and his own design skills. I’m pretty sure he has a smaller audience than you, or at least he did when he was working on his first book. Also, he probably has lesser means. My impression, and it’s hard to write this without sounding rude, but it is not my intent, is that you’re rather underestimating the mountains you need to climb to get an “art-quality” level book out. Blurb is a shortcut for people like me who have lesser ambitions and lack a body of work to justify the real thing. You do have the body of work, but maybe you need to consider a longer term strategy. I’d agree that starting with an eBook is a good idea, it lays a lot of groundwork and possibly can help to fund a physical, properly printed book in due course. You’re making assumptions again – audience size, financial means, etc. I’m not underestimating the work required; I’ve had a lot of conversations with Nick Brandt for instance about his experiences making A Shadow Falls. That is my benchmark for the time being. I know that definitely isn’t achievable anytime unless I win the lottery. Have you seen Bruce Percy’s books in person? Otherwise it’s impossible to make any judgements about quality. I saw that already, thanks. I recently saw samples of Canon’s hdbook at Calumet in Munich and was greatly impressed. Print quality was similar to a good quality inkjet print, significantly better than the quality of the MyPublisher books that I use for family albums in the USA. The hdbooks seem only to go through retailers in the moment, and seem not to be available yet in the United States. I will be on the lookout to see when they become more easily available. Anybody here who can share a personal experience yet? Not available in Asia either, which means it’s not an option since I can’t see a proof. Go with the ebook. I’m assuming we use the term in the same way: a digital display delivered and seen electronically, not for printing. The work is already done, the time and effort spent. An ebook…at a very low price…should cost next to nothing additional to produce and distribute — and should sell in large numbers to your established audience. In fact, anyone who enjoys reading this site regularly for free and does not buy the ebook should get a thumb in the eye. You would recoup at least some of the time and effort already invested in the project and your readers would have a way to contribute to the site without hitting the “Donate” button. Rather than trying to sell a $100 book to make $10 — disappointing the buyer because of the print quality — just sell it direct for the same $10 plus payment processing costs and let us all be happy! Perhaps it’s worth a try. i can definitely imagine a digital package at high (but not original) res. enough to fill a 4k display with pixel information would look pretty spectacular. not as tactile as a great book…but still pretty cool and superior to viewing the frame watermarked flickr versions for SURE. Also enough to make passable prints from, unfortunately. And we are back to the piracy/honesty problem. true…but (theoretically) could that not already be done with an ultraprint and a nice scanner? 1)i think effective photo piracy (that which gets the pirate income) is actually quite rare (not that it never happens but it’s not that widespread), and people actually making significant money off of stealing others images is a rare thing (i know this is controversial but it’s just a thought). also with google image search it is surprisingly easy to track down stolen images. i’ve done it and it worked like a charm. serious/professional photogs would be embarrassed to steal other’s work (especially if only at 1080p or even 4k it would not make a quality gallery print). Not only would it not match their previous/future work and be lower res than their usual output (most cameras put out more than 4k stills now) but their own professional pride would preclude it and every serious pro has their own projects going and the stolen images would not even fit with it and stick out. random amateurs on the internet (you see this on instagram occasionally) would not really be able to get that much out of the theft and would be nailed if they ever posted it online, which they inevitably would. In addition if by some small chance one of the images DID get stolen and published you could easily track it AND contact the publication. It would most likely get you another client and get the thief blackballed for good. 2)it could make a really great package at nice quality and affordable price…and still seems better (imo) than simply scrapping the whole thing or settling for a low quality book with prints that would look less exceptional than a screen version. it just seems like the risk that maybe a couple of random idiots MIGHT steal a couple of 2000 pixel across images (4000 max) is not significant enough to shut the whole thing down. obviously just IMO and no disrespect intended….everyone has their own level of concern on the photo piracy issue and mine just happens to be lower than average. Sadly not every ‘pro’ in this part of the world is that ethical or proud of their work. There are surprising numbers of people trying to pass of others’ images in their portfolios. I’ve had enough images stolen by the people you’d last expect (just look at the Ricoh Indonesia faff for starters) to be extremely weary of this. interesting. i am probably out of touch. I guess it just has to be a risk calculation….benefit of quality distribution vs theft risk (and what the real world consequences of the theft would be etc). i guess i was thinking that if somebody scanned a print it would be to upload and pretend it was their own work or something? or print another copy to pass off as their work (hard to imagine but possible i guess). It’s also possible i’m nuts….it just seems stupid to steal somebody else’s photo and claim it as their own and if it was just to make a print for their own home use…it seems so unlikely that that SAME person would have shelled out serious cash for an actual authentic print, thus meaning you lost zero revenue in the final analysis and one lame person now has a low res print on their wall (which it is unlikely would confuse anyone into thinking it was a real authentic print due to your sterling rep re high res prints). or would they try to print it and sell the print as their own (again it would have to be for a low price because it would not look good printed large)? the whole thing seems crazy to me. either way…i wish you the best of luck on the project, whatever form it eventually does take. I’d say the scanned print would be very obviously a fake. Yes, it seems stupid for all of us – but frankly standards are pretty low these days, and a 4K image would print to the ‘good enough’ point for a lot of people. More than likely it will not take any form, but thanks anyway. As the author of five illustrated books on photography in the last seven years (and one great novel) I’m here to tell you that anything you put out WILL be pirated almost immediately. Most definitely any printed book will become a pirated e-book and find its way to the bit torrent sites in short order. That’s just the nature of publishing these days. Count on it. My least stolen are the Kindle books. So that begs the question, would you do it again? Would an ebook for an iPad sold through Apple’s App Store be a viable option? No. Apple takes a silly chunk of profit. Odd. A lot of people make serious money using Apple’s iTunes store. Good for them. I tried it with the Compendium app and never recouped the development costs. Ever consider a second try? Most entrepreneurs fail many times before finding success. In fact, expecting success on the first try is not very realistic. What makes you think this is the first? You set the price so you decide how much $$$ you walk away from the transaction with. It’s cheaper than building your own infrastructure. True, but there are limits to what the market will bear. From what I’ve seen, $3-5 net per book x a couple hundred copies is hardly worth the bother. I don’t think there’s much point in an eBook, unless the first chapter is how to modify a printer for ultraprinting so you can print out the rest of the book and read it. I’m sure you’ve thought a lot about this, but how is an ebook going to be better than the site you already have? I’ve heard good things about Magcloud, it looks like they use the same machines as Blurb, but at least the prices are a little less insane. That’s the same conclusion I came to. And there’s no way I’m releasing full size files, period. So we are back to square one. I feel your expectations are too high (especially for the price point that you are hoping for). I have many photographer photo books, and the images in the books never look as good as they do when viewing the actual prints in person. Two books come to mind off the top of my head from two very well respected photographers. Annie Leibovitz’s “Photographs Annie Leibovitz 1970-1990” book and Richard Avedon’s “Avedon Fashion 1944-2000” book. Leibovitz’s book has the lowest quality printing of the two, in my humble opinion. I had that book for many years, prior to ever seeing one of her shows. I thought the images in the book were ok. When I saw the actual photographic prints on a gallery wall (Detroit Institute of Art) I was absolutely blown away and I had a new found respect for her work. I had the same experience with Avedon’s book, but I had seen his gallery show first (Again, Detroit Institute Of Arts). The images were absolutely stunning when seen on the wall in a gallery! The book in no way came close. I’ve come to accept that it just comes with the territory. On the other hand, a book with outstanding image/print quality is Nick Brandt’s “On This Earth, A Shadow Falls” (like you mentioned as well). It’s really beautiful. I hope to see one of his gallery shows someday because I’m certain I will be awestruck. You sit there and stare at your beautiful Ultraprints, and your high quality computer monitors, all day in your home/studio (I know you really don’t sit there all day and stare at them. Well, you probably spend a lot of time in front of your monitors. 😉 ). I can see how you could end up disappointed when you received your test book. It’s probably similar to comparing D800 raw files to something like RX100 files. You have to remember the RX100 is just a P&S. Btw, I’m not defending Blurb. It could very well be extremely poor quality. I’m not doubting you on that at all. Maybe there are other options that are better than Blurb, but not quite as high of quality that you are hoping for. I recently learned of a place called Docucopies (docucopies dot com). They seem to offer a lot of services at a good price. They have perfect bound books too. I’ve never seen a photographer’s book printed through them, but I did get them to send me some samples/swatches. The samples looked really good to me. Anyway, that’s my 2 cents. Thanks Ming! The problem is you *know* something like Brandt’s level of quality can be done. I’m not expecting that; compromise is fine and I’m very aware of the limitations involved. But we’re so far away that even the monitor looks quite a lot better. Hell, even a web jpeg looks a lot better. And that…is not acceptable. Understand your frustration. Blame digital. Photographers use to control the viewing experience of their work by making prints (a necessity with color negative film). That is really the only way to maintain quality and control outcome. Perhaps a tightly curated boxed set of small Ultraprints on a theme? The price is prohibitive or loss making. I do support the idea of a book, but not the e-book. I own several photography books and there is no way I would enjoy them as much as I do in paper than if I had an e-book version. I had already a bad experience regarding bad quality photobooks (I paid U$D 150 for 20 miserable pages of horrible gamut and even worse detail), so I can offer no strong advice regarding a way to get the idea to fruition: maybe Adorama Pix photobooks? I have read good reviews but I’ve never tried it myself. I’ll be going to GPP soon to make some prints. I’ll ask the printmaster over there (who is pretty competent) if she knows any other place and I’ll let you know. I can very much appreciate you don’t want to make compromises on the quality of your work, but personally the main reasons I’m interested in your pictures are the ideas and the way you execute them, rather than the pixel perfect quality. Personally I’d be interested in an ebook, purely because my lifestyle (6 temporary homes in 3 countries over the last 2 years) isn’t really amenable to buying large, high quality, ultraprints, however impressive they may be. That said, I really would like to see an ultraprint in person one day! It’s not even about pixel quality at this point – the printing is so bad that the ideas get flattened and muddied out. Seriously, an ebook version would be better. But yes, perhaps the ebook is the way to go for now. Short answer: yes, digital displays are nowhere close. At best you can see about 40% of the total information, assuming I’m willing to release full size files – which I’m not. I suspect the trouble with paying for education vs paying for equipment is that it’s a lot easier to blame the equipment if you still can’t take good photos after spending money….. I didn’t mean to release the full size images, but your ultaprint files must be way way beyond what is required for the current displays. Is it possible to produce a downsized version optimised for ipad colours (for example) that is acceptable to your eyes? We’re then back to making judgements on limited sizes and 10% of the total information or less. Many of us would love to see your work in print, Ming. What about a small collection of printed photos collected in, say, a decorative tin? Not as elegant as a book but it could be done quite tastefully. As for the price, I know that your more dedicated fans would pay quite a bit for the ability to own prints of your work. Don’t underestimate what the market will bear. I’ve got a fairly good idea based on past print sales though. The „original” photographic artwork is the print to my personal opinion. When I buy a catalogue or let’s say a monography of Rembrandt, Vermeer, Ruff, Kawauchi, Soth or (to be extreme, Jeff Wall) … I have to accept the fact, that I do not look at the original. It is a question of format, material and characteristic flow. The book has the advantage to allow me to overlook the work of an artist, to read a hopefully good text on his conceptual thinking … and all this while I’m sitting comfortably in my chair with a glass of wine. An art book should allow me to study the presented works knowing very well, that I’m not confronted with original works. So my recommendation to photographers is: Try to participate in exhibitions with some reputation and get your work presented in the catalogue. But we have the option to get it right, in this case – this is obviously not possible with paintings. Working on the exhibition part. Printed reproductions of paintings in books are great references but they generally look quite a bit different than original oil paintings. Artist’s paints have a much wider color and value range than printer’s inks. Paintings also have variations in the translucentness/opaqueness across a painting’s surface. Lastly, a painting has texture, impasto, which plays a vital role in creating the illusion of light and form. The texture, and the intent of the artist that it conveys, is mostly lost in a printed reproduction. That said, a reproduction of a painting can still be enjoyable and well worth viewing and studying, it just isn’t a substitute for the real deal. That’s true, but by nature paintings are impossible to replicate perfectly. This is not the case with photographs. have you ever considered crowdfunding? It would have the benefit of judging the level of interest in the first place and additionally lower the financial burden on you. Yes, and dismissed it for reasons I’ve already explained in the comments. Blurb, just like Apple or CeWE uses HP Indigos. Ok for mass market stuff but not for quality. And Blurb is way overpriced compared to others offering books from Indigos. I would look for a company that can do international fulfillment and has a process based on photo prints (most of them use Fuji machines) instead of the raster printing that the Indigos use. In Germany I have tried many different vendors and finally settled on Saal Digital. They use Fuji systems and in contrast to most of the mass market vendors, manage even decent black and white. I don’t think they would be suitable for international fulfillment though. I imagine they would be still using a dye sub process though? From their website I take it they use lasers to expose photo paper, so it is not printed (as in using a dye or pigment based printer) at all. I have been using them far a while and have been quite satisfied. I do not really have a good comparison to other services as most german providers are either rather pricy or the quality is quite lousy. For books, they can even use a pdf made in a professional application instead of using their software (which is fine for uploading but I find it a hassle to use for designing a book and the typesetting is just not up to InDesign standards). Some digital presses are oil based, while others are fusion based. Quite often it is tough to find out who is running which machine, or even which generation of machine. When these are new, they tend to stick closer to calibrated, but as they age they get worse. Once a year I get to go to a printing industry association trade show, and see the latest machines. The newest developments moved towards 5 and 6 colour, and some with varnish options. A few places run a regular one or two colour press after the digital press, to enable adding touch plates. The companies interested in revenue will rarely give you information on what digital press they run, and usually do not have a profile (cmyk) for the machine. A few of the smaller companies will give you the machine profile, and you can run that through PhotoShop or other editors in your set-up. Printing is a pain all round. I’ve only quite recently started making seriously efforts to make my own high quality prints, with A3+ printers now being affordable. Even then, when I am in a position to control all the elements, it’s STILL basically trial and error to get a print to look right! My experiences of professional printers are frankly depressing. I recently had an academic book published – granted, it’s not a book in any way about photos or photography; nor do they really need to look good, for what they are for; but I was nonetheless mortified by the results. Moral of the story is: unless you’re in a position to throw a lot of time and money at it, I think the answer for the moment is to publish electronically. how about a ring-binder of prints in a box? Blurb is insanely popular, due to a ton of promotion, but they’re not at the pinnacle of quality. I’ve done book layouts, covers, offset, and digital press. I’ve even managed to get several of my images in various compilation books. The biggest problem with print on demand is the conversion process done to the files. Understanding digital printing is a specialized skill, unlike other forms of printing. Curves, total ink limits, and density function differently. Paper choices are limited, because most of the machines only work with a small selection of papers. Certain colours and tones are nearly impossible to render properly, though there are a few 5,6, and 7 colour digital presses. Once you really look into it, you will find that these presses need to be calibrated often, some as much as every hour. The biggest digital press operators, like Blurb, rarely calibrate as often as needed, meaning that the output varies quite a bit from one run to the next, even when the same files are input. The most common machine in use is the Xerox iGen series. I’ve gone through three digital printing workshops just to understand how to get the best output, and even then it’s not entirely predictable. There are some smaller and lower volume places out there, who do great work, and offer some interesting paper and binding choices. Some of them cater more to the wedding market, while others lean towards mini portfolios, promo pieces, and professional drop-off books. Design within the boundaries of the smaller companies, and the results can be quite good. However, many of them do not have easy to use templates, meaning you will need to set-up your own CMYK files, do your own layout within their specifications, and/or create your own PDFs. I’ve helped a few photographers put these together, and seem some great examples, though I’m not entirely sure how well these would go over as for sale items. Quite simply, you will go crazy trying to compare digital presses to offset. The range of capability is greater with offset, but so is the cost. The file preparation is different too, in that a CMYK for an offset press, is prepared far differently than for a digital press. Despite some great examples from the newest and best digital presses, I think it is important to avoid some colours and tones, or at the very least minimize their usage (yellow being a prominent example). It’s not all doom and gloom, though I think 60 pages is really pushing it, and sticking under 40 would be a better target. Test prints should have far fewer images, and include one page of a custom target created with InDesign or Illustrator just in CMYK. Soft proofing is tougher, because total ink can be 400%, instead of the 310% (or less) of offset; this can cause far darker shadow areas than expected, or crushed tonal ranges. Greyscale images often have a colour cast when run through a digital press, though it is possible to get around it with just using the K Channel output; though important to do a special dithered output at much higher resolution to make the transition of greys work better. Basically, not as easy as the on-demand publishers make it seem. To bypass all of this…do you have any recommendations? The only other places I use are those where I can physically visit the printing facility. That’s not practical for someone overseas, because there are times it takes more than one visit. Ideally I would do offset, but the only way I could make it affordable would be individual poster runs, then cutting them later, and paying a book builder to custom bind them; great for a few, but not for a series run. Saw those, but not happy with dynamic range or color accuracy. And the prices are downright scary/ commercially unviable. Agreed the quality is better than Blurb though, but this trial and error process is expensive. As for visiting the facility – hah! Not going to happen here. If you eliminate most red and yellow tones, then you can get more accurate colours from a digital press. Xerox iGen and HP Indigo are made for speed and volume, not quality. Kodak (formerly Heidelberg) NexPress can do near accurate reds and yellows. None of these is near what offset can accomplish. My suggestion is to find a place that is not doing high volume, hopefully running a NexPress (and properly). Then get samples from them. Paper choices are limited, because the paper companies do not supply many choices, and the machines are limited in thickness. NexPress has the capability for sheetfed, so you could (in theory) order a paper specifically for your book, then get a better whiteness and brightness value. Paper whiteness and brightness directly affect printed dynamic range. My personal opinion is that if you are doing this for portfolios to send out, then spend a bit more. If you are trying to do this to generate some income, then I would suggest avoiding doing a book on a digital press. You may be better offering a smaller printed boxed set of prints, than trying to do a book, but that’s just my humble suggestion. I wouldn’t send these out. Portfolios here are a waste of time and money. They never get returned and you never get work (and they look bad). A boxed set of Ultrparints is expensive to produce and doesn’t seem to be very well received, so perhaps I should just abandon the whole idea and do positive reviews for money instead. It seems to work for every other ‘photographer’. The thing I like about your reviews is to see whether or not a camera passes as useful, and to see what it is that makes it useful. I also like things you point out that could be improved. You’re probably one of the tougher reviewers, so maybe some manufacturers are afraid of you. 😉 Just an example: despite that you liked the Ricoh GR over the Nikon Coolpix A, some of the things you pointed out in the Coolpix A convinced me to buy one, because it fit more with what I wanted to accomplish. In the printed image world, the thing I have considered a really cool project I would like to have, is one of those paper sample items that paper companies hand out at trade shows. They’re ridiculously well printed, usually with no expense spared, and often 6 to 10 colour offset printed. I’m not sure which paper company may be interested in doing this, though the high detail precision of your images would be a great test of high quality papers and high quality offset printing. I know it’s not a for-sale book, though it would be a cool commission. Anyway, just an idea. If I knew how to pull off one of these gigs, I would’ve done one by now. I’ve done work through this printing place several times. Definitely not lowest bidder, but they are very quality oriented. One of the few who keep their NexPress properly calibrated. http://www.neyenesch.com Perhaps they can send you some samples. Ming, I’ll approach this from another angle. While I am sure the quality of an ultraprint is something to experience In of itself, I believe your images are greater than the output media. I have enjoyed most of your images on an 8 inch tablet. Just remember all the images you enjoyed & admired that weren’t on ultraprint – because you connected with those images and not the media. Cheers Richard. Thanks Richard. But the problem here is the images in the printed book were definitely worse than the screen versions. Did you consider going the Kickstarter / IndieGoGo route? Figure out first what is an acceptable level of quality for you, and how many copies you would need to print in order to make that feasible for people to buy. That is your baseline funding goal. Then figure out the tiers using e.g. Pdf copies at the cheapest end, books, signed copies of the book, books + print, and maybe even a place in your workshop in the very high end? I did, but frankly I was advised against it by quite a number of people as it looks like you are not ‘serious or committed’. Given the economics are at best marginal and the effort huge – I’m wondering if there is any point in pursuing this further at all. Kickstarting worked for Film Ferrania, why can’t it work for you? People remember the exceptions and use them as the rule. You seem to have a negative answer for everything in the replies to this post (not just mine). Ever try positive thinking? A change like this would do you a world of good I bet. Ironic. Read your own posts: do you realise you come across as rather sarcastic and negative? The fact that I’m here at all, doing what I’m doing for free for you guys, despite the amount of negativity I receive on a daily basis is already a miracle. How is encouraging you to think positively come across as sarcastic and negative? WOW!!!!!! You want to live drenched in bitterness and despair, F I N E.
For starters, e-book or good old-fashioned book, I’ll definitely be interested in picking it up. Like you said, a good e-book is far better than a worse-than-JPEG-web-quality print. 100$ for a 60pg book sounds a bit absurd. How does Nick Brandt manage to sell signed editions of his book at $120 (first two books) and $65 (last one) and still break even? I recall a few self-published photo books by hobbyists and a few professionals in India that turned out pretty economical. I confess I don’t recall the quality of the prints and I can’t seem to find a copy of one of the books here. But I’m going back for a weekend soon, so let me take a look and ask around and get back to you on that. For some inexplicable reason, India has always been cheaper to buy books. I just ordered Salgado’s Genesis from Amazon India at about 20% less than Amazon Worldwide. Same publisher and printing house. And for the books where the volume is large enough to justify printing locally, the price drop is usually in the region of 50% or more. Is there no one in Malaysia who could give you better quality than Blurb? Easy: print tens of thousands of copies, get sponsored, and don’t expect to make much money (at least that was his answer to me. I believe he lost money on some, too). Printing in Malaysia with the exception of Wesley is a bit of a disaster. And very variable. Few take pride in their work here, they just want the money. I’m sorry you had to go through that experience. I have personally had the same conundrum using blurb a couple of years ago. I even paid the extra 10 dollars to not have the blurb logo on my book. In the end though I did like my book, but I didn’t like the fact as well that I would have to sell my book for 50 dollars to get 5 dollars profit. From further research is seems you have to buy in bulk to actually save money and maybe make a profit if you sell them all. You might not like the overall quality, but I think your books would probably sell like hot cakes to your fans at least, so on demand wouldn’t be such a bad idea to let people look at your images up close and in their hands. I also believe that someone would be more inclined to buy a print of an image they saw in a book. When the print arrives they buyer would also get to see what a high quality print looks like. Hopefully that made sense. I’m honestly worried that they will give completely the wrong impression because the printed images are completely nothing like the artistic intent; unlike most prints, they are worse than the digital versions. And that’s just wrong…I wouldn’t at all be motivated to buy a high quality print on the basis of the book; if anything, I’d be inclined to think the author/publisher/photographer was talking out of his behind. Hmmm. That’s too bad. All well. I will continue to collect photo books and will be releasing a book of my own images from Mexico coming out in April. Not easy at all. The books would ship from somewhere separate. If they had to be shipped to me first, that would increase logistic cost and tax dramatically. If I were to ship the prints separately, we’d be back to selling prints with a free book. Doesn’t solve the cost of print problem, assuming the company would be willing to accommodate the request (they won’t, because things are printed in different places depending on where they’re to be shipped to). The cost of producing and shipping a small Ultraprint basically doubles the book cost – without any profit in it for me. But hey, it seems everybody online expects me to work for free anyway. For the past 6 years, I’ve been working on a project to photograph and document the landscape of my favourite and local mountains in the Southern Uplands of Scotland – in all weathers and in all seasons. Camera equipment used was principally high end, medium format digital from, initially, Hasselblad and, latterly, Leica, with the occasional image thrown in taken on Sony or Olympus digital when I felt that I wanted to travel light on a particularly long and arduous hill walk. Over the Christmas period just past, I decided that I had sufficient images – quality and variety – to complete my project and publish a book of 200 or so pages in the largest landscape format Blurb offered, on the most expensive paper they offered and with each image sharpened and sized appropriately to offer one image per page side. Like you, I found the software a bit frustrating but eventually managed to get the layout I wanted, uploaded my finished product to the Blurb website and ordered 2 book originals and one PDF. Obviously, the PDF arrived first and I was pretty pleased with the results – pictures looked sharp on the screen and the layout and narrative worked well. However, about 10 days later the books arrived – well packaged and protected and put together – but completely disappointing as the image quality was exceptionally poor. I wouldn’t even give it 5 out of 10 and am utterly surprised at how the book can look so good in PDF format but so poor in actual print. A few years ago, I used “My Publisher” to compile a book of a walking holiday in the Picos de Europa mountains in Northern Spain and I have to say that the difference in print quality between that book, which was done 5 years ago, and the recent Blurb book is night and day. I was certain that I had done something wrong, despite the PDF looking so good, but your article has convinced me that the fault probably lies more at Blurb’s door than mine. P.S. I have been doing my own printing on an Epson Stylus Pro 4900 for the past 3 or so years and, while not a “professional”, am able to print sufficiently well to satisfy a growing number of clients – I don’t think, therefore, that my set up was the principle root of the problem. Have a look at Bill Atkinson’s book “Within the Stone”. He wrote almost halt the code in the original Macintosh, but retired and went back to photography. To get the best possible results out of standard offset printing, he went with a press in Japan, worked directly with ink manufacturers to maximize gamut, and wrote his own color-management software. The results are quite impressive. For one-offs, like wedding albums or high-end portfolios, flush mount albums like AdoramaPix or ArtisanState are the gold standard, but they are not viable as a self-publishing route. Sorry to hear of your frustrations. I suspect that Blurb probably offered a competitive price, but nonetheless, I am going to mention a printing company that was highly thought of when it first opened (and has since been bought up by another local company. Shared Ink used to be local to the greater Seattle, Washington area, and was known for high quality at not unreasonable prices. Premier Press in Portland, Oregon bought them, but seems to be marketing their products on the same theme. Perhaps they might have a product that will meet your needs and expectations. There addresses are: http://si.premierpress.com/ and http://www.premierpress.com/ . Alternately, is there another physical product other than a book or print that you might consider? Regardless, I applaud you for making an attempt. It is a lot of work, and it is easy to quit, but you just may be able to pull this one out of the fire yet. Well you could always bind your own books and therefore choose your own paper and even make every page one of your ultraprints. Obviously that only solves the quality issue. This seems to be quite the conundrum. Definitely don’t let up on your quality standards. These books will out live you and it is how you will be remembered. I’ve made my own family photo albums before. For the kind of volume we’re looking at here (even if considered very low volume), I think is too much time and effort. Unfortunately that is the same conclusion I cam to. Not photography related, so forgive me but WTF is wrong with your customs regime?!!!! Are they hell bent on, if not destroying your economy, at least causing it to stagnate. I recall the absurdity of you having to pay import duty on even review cams that have to go straight back ( and wasn’t there also an issue with you having to pay duty on returned warranty repair items?). Many, many things are wrong with this country. Too many to even start. I think it all stems from greed, personally. Consider putting an ebook into your balancing. Folks like myself, with a color calibrated, wide gamut display, would get a high quality, if not high resolution, experience. Not the same lofty quality as high quality prints. Perhaps a way to be “published” enough for a future high quality paper book. Just wonderin’. Hence the final question. I suspect it would be a much better experience than a poor paper book, but I don’t know if anybody would pay for what they expect to get for free thanks to the Internet. I doubt very many customers would be sharing a niche book with very many others. Advanced photographers or those who appreciate it are not the general public. OTOH, I do not know what you do if one low life puts it on a file sharing site, especially if the site is in another country. Encryption of some sort? Something with an algorithm which calls home for verification? At some point it also becomes a question of how much hassle the purchaser is willing to put with. E.g., I want to use Adobe and Nik, but I find the set up a royal pain at times. True, and hopefully these people would have more ethics. The problems of IP etc. you point out are perfectly valid. Sometimes one just has to have faith in fellow man…sadly this is usually abused. What hassle does Thom Hogan run into, I wonder? His book is a simple pdf file. Michael Reichmann published a low volume book of prints a year or two ago. I wonder how his experience went. I do not think Michael expected to make money, but I also do not think he wanted to be a charity to those who bought his images. Thom’s books are instructional. Reichmann – well, has anybody seen the print quality? And I doubt he will ever release publication figures. What about Matt Granger and his Private Bodies books? I think he had it made in Hong Kong (not certain). Have not seen them though. He funded number 2 through kickstarter. Might be worth sending him an email asking. Wish i had something helpful to add other than sympathy. unfortunately you have discovered the basic truth of that matter. To make a truly top standard quality book (my benchmark thus far is burtynsky’s Water book published by steidl and i was also knocked out by Petrochemical America published by Aperture) is insanely expensive (and even then not nearly up to the standard of your book sized ultra prints). Self publishing a high end quality photo book is pretty much a contradiction in terms (unless you are extremely rich and simply pay top dollar, which is actually depicted in the documentary about Steidl streaming on netflix, quite amusing). Without establishing serious industry/publishing connections (which seem to come from decades of high end gallery representation, etc) to finance, publicize, and distribute a really impressive photo book with knock out quality seems nearly impossible. something always has to give….quality or price. The only alternative which comes to mind is some sort of 4k video stills format that people could view on a large 4k tv/display? but then you run into piracy issues, etc and it obviously still is not the same as a nice physical book. regardless…good luck on this front! 4K TV would have the resolution but the color would be horrible. I like David Ralph’s suggestion of a high quality eBook to be viewed on a wide color gamut monitor. naturally then we run into the issue of how many people have a wide gamut monitor? i do…but most do not. side note: having a properly calibrated wide gamut monitor is a great thing. finally the prints more or less match the screen! Did you have any issue storing prints in the tropics? I was looking for a somewhat reliable way of storing prints (without dedicated storage) but apart from the general unavailability of material (larger storage boxes, albums…etc), a lot of “professional” printing services reminded me: “oh…we don’t do that, fungus will take care of it anyways!”. Considering all the effort such places put into advertising archival papers and inks, I find it slightly laughable that after 2 years it will be rotten either way. Not aiming to preserve my photographic heritage for the next century but wondering if this is a real issue or just a bad excuse. A good question. It depends how humid. If you’re indoors in a cool cupboard and a room that has AC running some of the time, I think you should be okay. Too dry – camera dry box for instance – and the paper can become very brittle. There’s a sweet spot, and I suspect the manuscript conservationists would have a much better idea.